I have a very yummy milk supply smoothie recipe to share with you today! 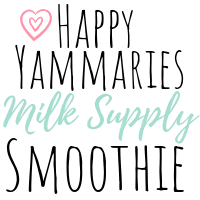 I am calling it happy yammaries because the secret breast milk boosting ingredient is – yep, you guessed it! Yams! Yams may seem like a super weird ingredient to throw into a smoothie, blend up and drink, but you know what it works! I was even rather surprised myself how delicious this smoothie is! The yams actually give it that perfect creamy texture. I’m so excited for you try this lactation smoothie, keep reading to learn how to make it! Is your milk supply making you happy or crazy? Sometimes, depending on the day – it can be both! Milk supply can fluctuate so much over the short course of even just a day. It’s hard sometimes to even put a finger on what could be causing your low milk supply! The pressure to produce enough breast milk for your little one can be so stressful at times! Thankfully, there are tons of resources, aids and blogs (like this one) that do their best to help you pump up your supply with tips, recipes and lactation product recommendations. Help yourself to this FREE eBook with my top tips to boost milk supply fast! Ready to master your milk supply? What is it about certain foods, herbs and supplements that tell your body to bulk up your milk supply? I think it’s good to know the basic nurtirtional principals behind lactation aids so you can start being more intentional with your breastfeeding diet. For instance, there are foods and herbs you should do your best to avoid while breastfeeding because they can ruin your milk supply fast! Stay away from these anti-lactation foods and herbs! 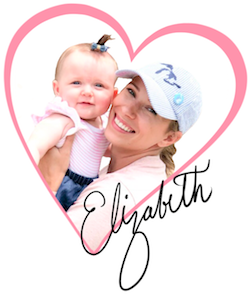 In my most popular post, Foods to Eat and Foods to Avoid while Breastfeeding I breakdown your breastfeeding diet and milk supply to thoroughly help you figure out the best diet for your milk supply. You can also download one of my many FREE gifts that focus on helping you master your milk supply. What makes this milk supply smoothie work? Before I get into how to make this low milk supply cure smoothie, I want to list the location aids I used so I can incorporate them more into your breastfeeding diet. Why are yams helpful for increasing milk supply? Yams are high in beta carotene which is known to do a great job at bulking up a low supply. Yams are also high is magnesium, which is a muscle relaxant and can help improve lactation. Papaya has been proven to have lactogenic effects and is said to increase oxytocin which is a hormone that helps with milk production. Coconut milk does a really good job at hydrating and it also contains vitamins and minerals that nourish a mother’s cells. Make your mammaries happy with this milk supply smoothie that is sure to brighten up a depressed milk supply! Come see how you make it! Throw all of the ingredients into a mixer and blend until smooth! Throw all of your ingredients into a blender and whip it up! I use a Vitamix blender, which I HIGHLY recommend if you make a lot of smoothies – it’s my favorite kitchen tool! There you have it! I hope you love this bright and tangy smoothie as much as I do! Use the recipe card above to pin it to Pinterest!